With all the allergies and various health ailments that people may be suffering from nowadays it is important to consider different alternatives. Being health conscious is a good characteristic to have if you wanna avoid the pitfalls of getting sick all the time. If you’re letting your ill health get in the way of fun times, then it’s time to consider some healthy choices and substitute out some processed foods. I’ll be honest I’m a real smoothie fanatic, so a lot of the fruits in my diet are derived from the smoothies I make every morning for breakfast and later meals. It’s a great way to reap the benefits of essential vitamins and minerals, not to mention a tasty method as well. 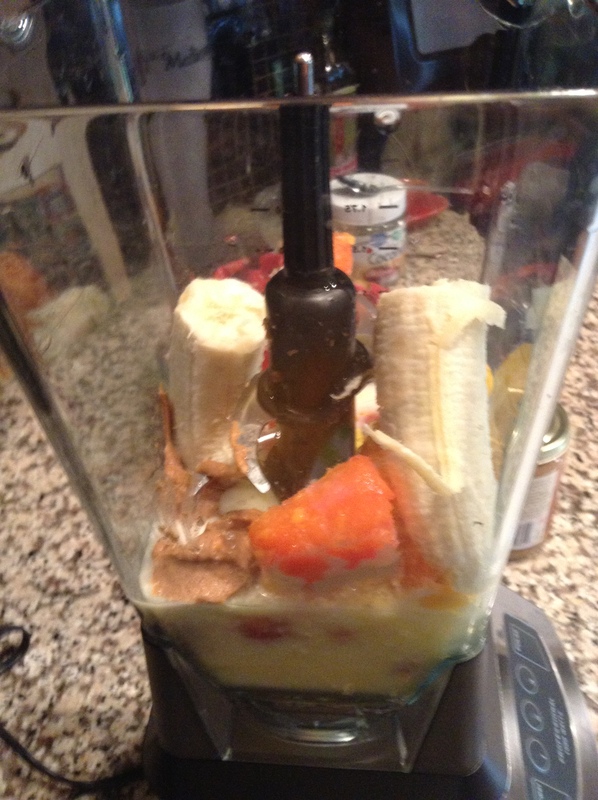 Making smoothies are an easy way to experiment with different supplements as well. Depending on what you feel is necessary to incorporate into your diet, their are plenty of natural supplements that can provide a pleasant boost to your daily routine. Promotes weight-loss (It is high in saturated fat which is generally bad when derived from animals, however since it is derived from a plant source, the body absorbs it differently. All the information provided above about coconut oil can be found through sources such as Coconutoil.com. My point is that it is great and versatile with a lot of positive benefits for anybody’s health. I think that whether you’re looking to become healthier or simply supplement your diet, this smoothie recipe can help boost health and overall vitality. I understand that not everyone has access to all ingredients and that you may have to leave out some parts of the recipe. I hope people can start to feel the great benefits of this nutritious blend!